RRB Secunderabad Application Status 2016 – Railway Non Technical (ASM, Goods Guard, TA) Exam Status: RRB Secunderabad NTPC Application Status (CEN 03/2015) is available to check. Have you applied for RRB NTPC at Secunderabad Railway Board? Now you can check your RRB NTPC Application status for ASM, Goods Guard, TA, CA, exam 2016. Railway Recruitment Board (RRB) Secunderabad is all set to conduct the Non Technical Popular Category (NTPC) Graduate Category examination between March and May 2016. RRB Secunderabad has issued NTPC recruitment notification for 1618 ASM, Goods Guard, TA and Senior Clerk vacancies of CEN 03/2015 earlier this year. RRB NTPC General Awareness Syllabus. Good news for fellow RRB Secunderabad NTPC Aspirants! Now you check your RRB NTPC 03/2015 application status online. 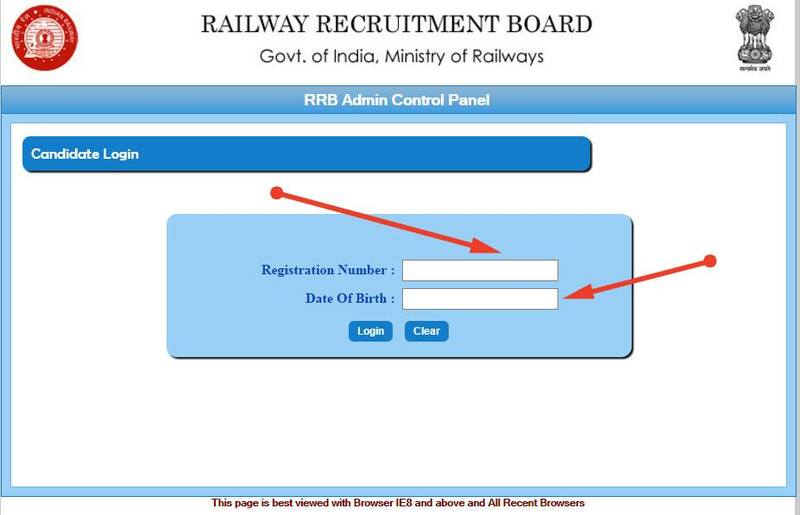 Candidates who had applied for RRB NTPC at Secunderabad Board must check their application status to check their eligibility to appear at the Railway Online exam. RRB Secunderabad NTPC Graduate exam will be start from March 2016 and ends on May 2016. Computer Based Test/ Online examination will be conducted in 3 Session in a day. RRB NTPC exam will be of 90 minute for 100 questions. Admit card to the eligible candidates for online examination will be provided very soon. Here is quick guide on how to check RRB Secunderabad application status 2016. Follow the instructions given below to learn check your RRB NTPC Application status. Log on to RRB Secunderabad Official Website at rrbsecunderabad.nic.in. Click on “STATUS OF APPLICATIONS FOR THE POSTS NON TECHNICAL POPULAR CATEGORIES OF CEN: 03/2015”. RRB Secunderabad NTPC Application Status [Check here]. Now that RRB Secunderabad NTPC Application status has been uploaded, it indicates RRB NTPC Exam is going to be conducted very soon. Candidates are hereby advised to keep prepare for exam and be ready for RRB Secunderabad NTPC exam 2016. Check Study Material for RRB Secunderabad ASM, Goods Guard exam 2016.